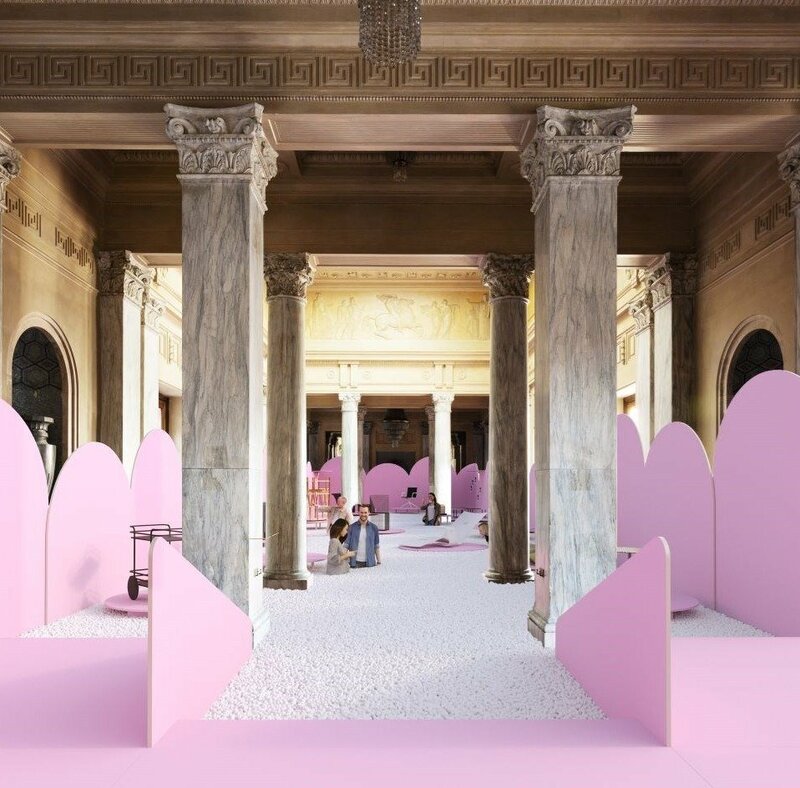 Heading to IMM Cologne 2019? 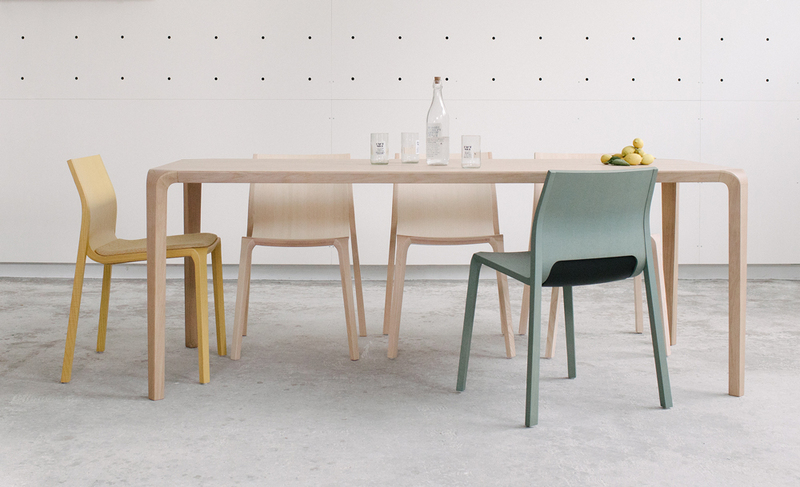 This is our list of new and hot-off-the-factory chairs and tables to check out on your visit. Not going to Cologne? No problem. Get in touch with us to discuss any of the products featured here. 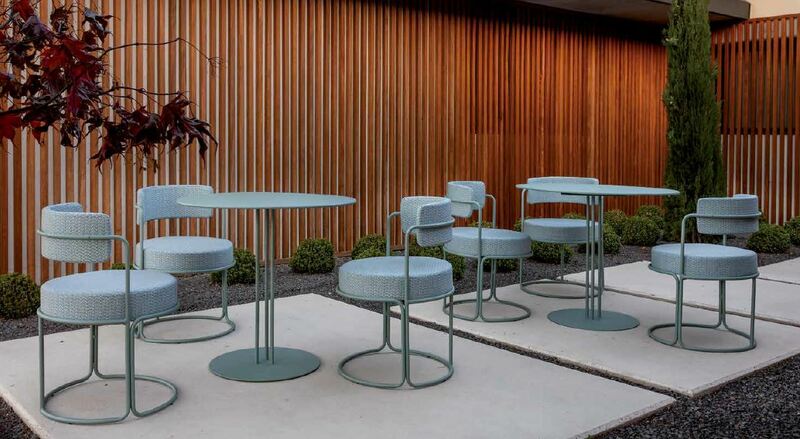 iSiMAR are launching a brand new range called Paradiso featuring an upholstered armchair and barstool with cantilever base and accompanying table. Created for the stunning Hotel Paradiso in Ibiza, which was unveiled last year, the collection has now, deservedly, made its way into the permanent product range. 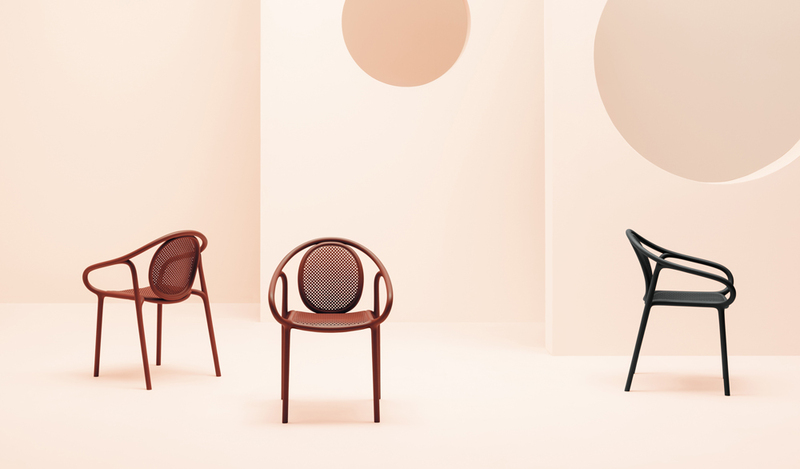 The chair GAIA was launched in 2018 to much applause (it was also the cover-chair of our Summer Style Guide). Building on this success it has recently received the German Design Award 2019. With the harmony of elegance, design and impressive seating comfort, the GAIA range is now expanding to include a lounge version as well as the barstool and bench shown here. The ash structure of Soul has a minimalistic, flowing silhouette, characterized by a harmonious interplay of curves and subtle lines. The ergonomic polycarbonate seat appears suspended, clasped by the skeleton. Soul offers a superbly comfortable chair with visually striking appeal. While evoking the soft sinuous curves of wooden chairs from the late nineteenth century, Remind’s organic silhouette recalls a universal shape able to fit into any space and style of decor. The result is an innovative polypropylene armchair, in which each element is conceived to ensure total comfort and cosiness. The breathable texture makes it airy and even lighter. Made from injection-moulded polypropylene, the armchair is functional and versatile, perfect for both outdoor and indoor spaces. 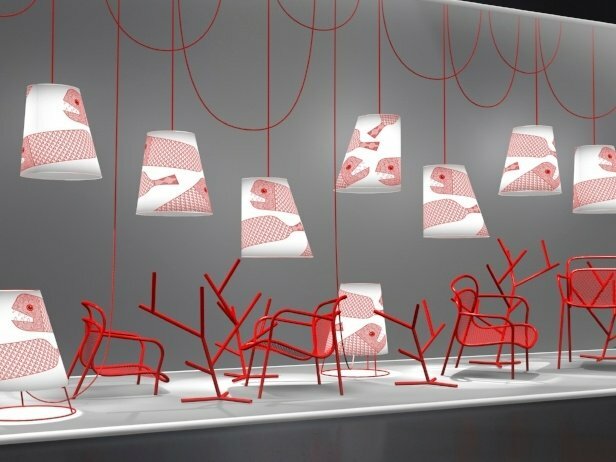 Emu have several chairs that are were launched last year in Milan but are now in production. Riveria, Mom & Miky (pictured here). 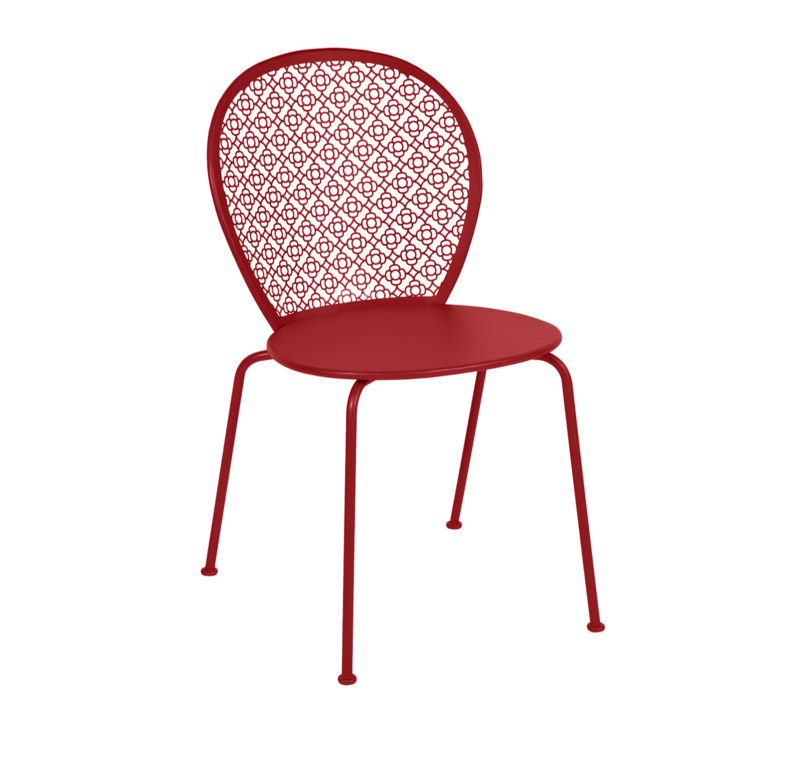 Miky is inspired by classic bistro chairs revisited in a contemporary style. The structure is made from tubular steel, and the seat and back are constructed from a deep-drawn galvanized steel sheet. Silu is a sustainable, ergonomic and contemporary design following the tradition of the best carpentry techniques and expertise in the curving of wood, which occurs in two directions in the back of the chair. The Silu table has a particularly interesting joint between the leg and the worktop, where it curves to meet the solid wood. The wood is certified ash or oak and is available in natural colours & a range of stains. 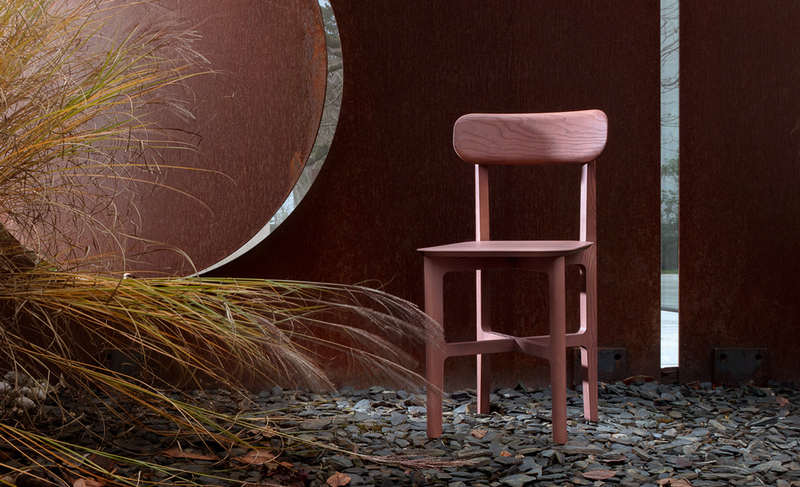 Ondareta have added wooden legs to the Bai range. Available in natural or stained oak or beech, from one side they appear square, and from the other side rounded. 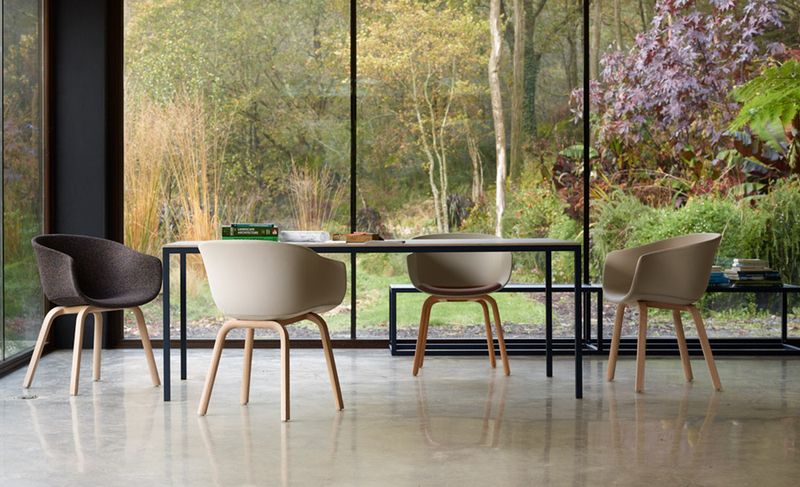 A new model of table with crossed legs (as in the original design of the BAI chair), in steel, oak or beech, has also been added to the family. 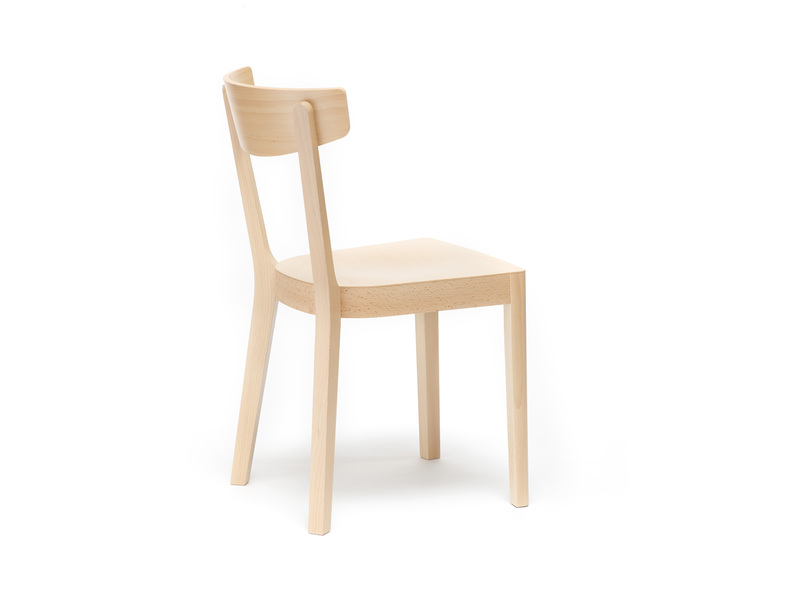 Ton is launching the Prag chair, which is designed specifically for restaurant and bars. 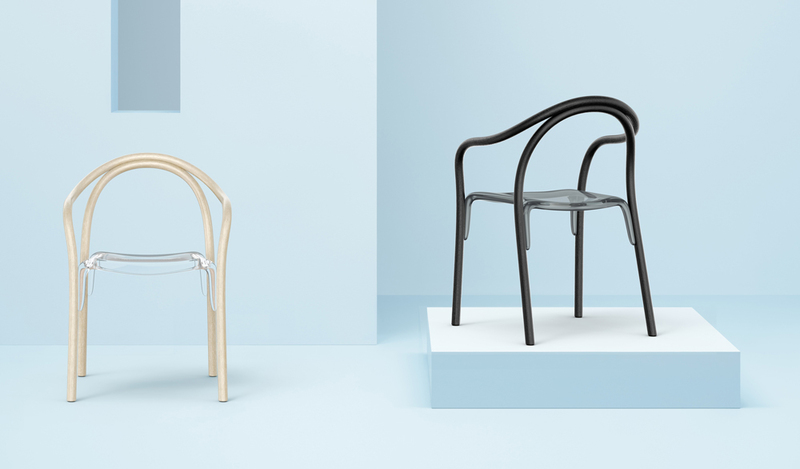 It has a clean & timeless form, which uses a traditional U-shaped seat and is inspired by the setting of a traditional Czech pub. As such the entire design process has been focused on maximum strength and stability. The chair has been tested through 460,000 cycles of simulating sitting, but also with techniques that model the kind of situations that are likely to occur in a pub setting. 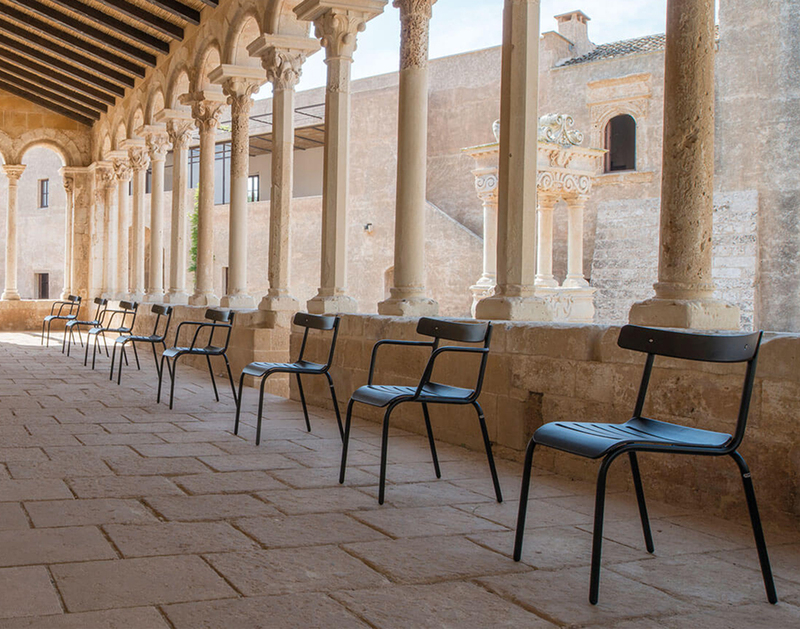 The rhythm of a pulsing city was the inspiration for the design of the Valencia chair and barstool. 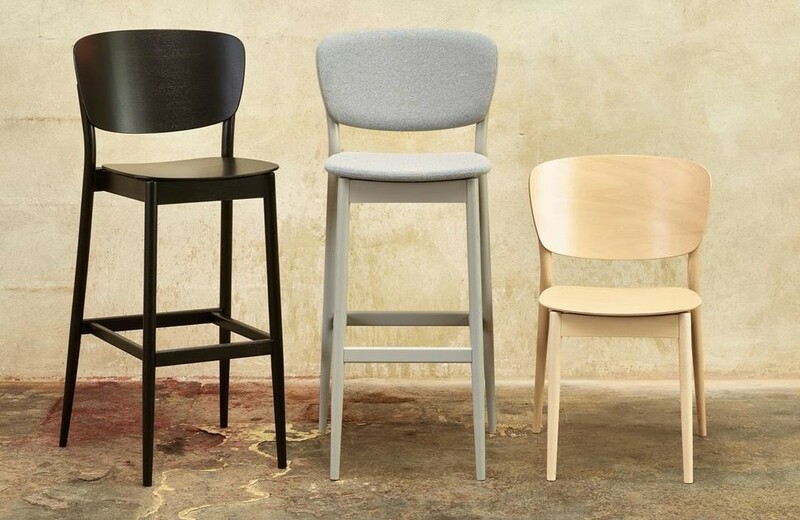 Valencia’s practical features – such as ease of stacking and two barstool heights – will be appreciated by busy bistros and cafes, where the chair and barstool will provide customer comfort during long evening gatherings. Valencia is also notable for the elegant method of connecting the back leg with the plywood backrest, a feature that draws attention to TON’s signature wood bending technique. 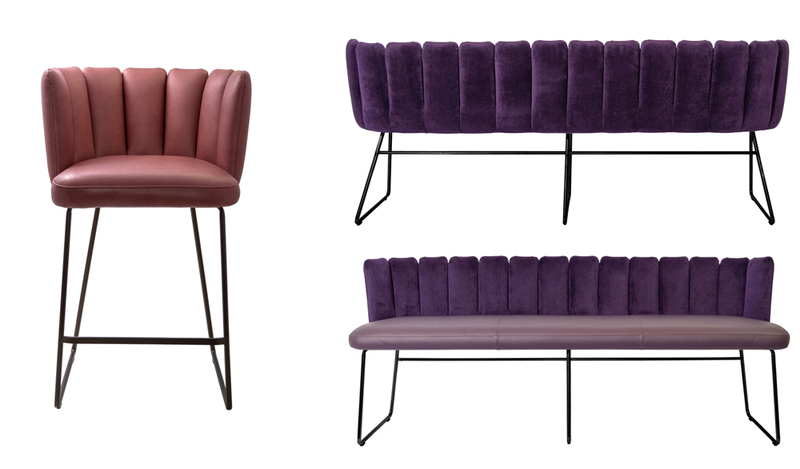 Not strictly a collection, but potentially more exciting: from January 2019 new colour stains are available throughout the Zeitraum range. Sage is a great partner for light woods such as oak and ash. It looks fresh, despite the slightly gray impact. This makes sage the perfect accent color for bright Scandinavian-style rooms with natural furnishings. It brings the liveliness of nature into the room. Sage awakens memories of green treetops and herbs and radiates a natural freshness. Mauve harmonises with Sage, and works especially well in dark walnut wood, particularly when paired with parquet, high ceilings with stucco, antiques or midcentury style. Zeitraum are also launching a new bed called Friday Night, a companion to the Friday Lounge Chair. If beds are your thing, we highly recommend it. 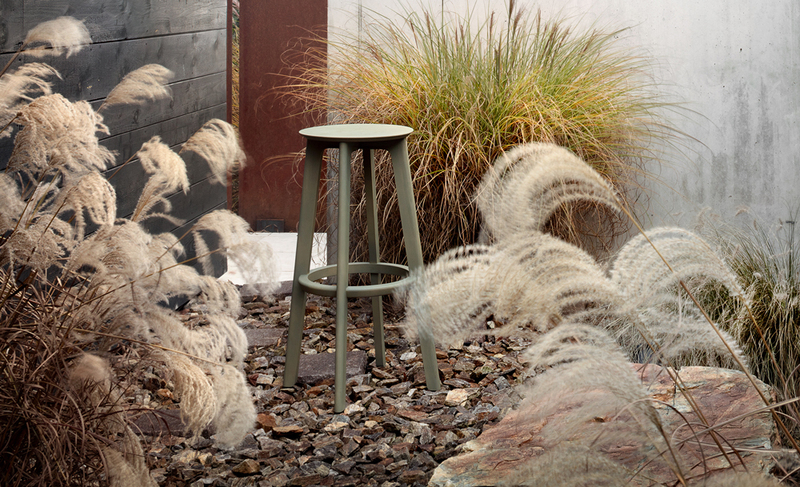 Fermob states their new Lorette chair is The spirit of Louis XVI in your garden, which is quite a claim but the detailing is intricate enough to carry this off. It's the backrest that is most striking as it evokes latticework panels from oriental lands, a decadence Louis would no doubt have approved of. The repetitive pattern of flowers and diamond shapes is an intricate piece of work, echoing design of the 1950s-60s. Lorette is also available as an oval or round table with a ring of perforated patterns in the centre. 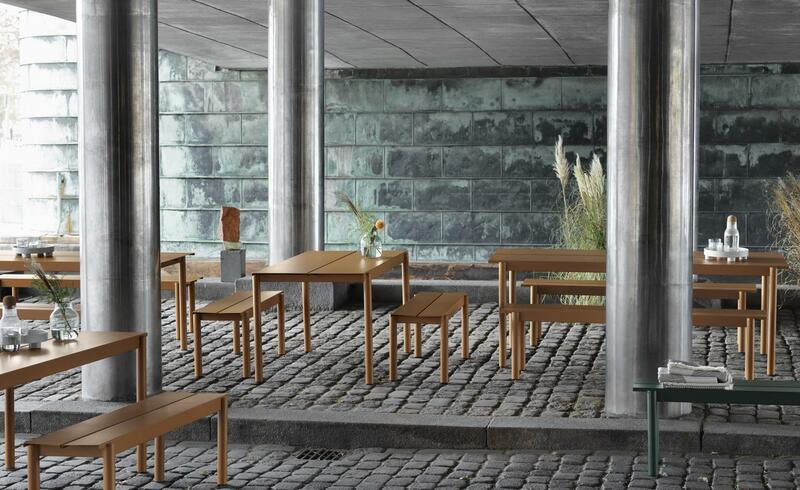 Making its debut at this month’s IMM Cologne fair, the Linear Steel Series is Muuto's first ever outdoor range. The series was designed from the idea of presenting durable materials in a sophisticated and understated expression for outdoor use. Its form is inspired by the notion of meetings – meetings of lines, meetings of shapes and meetings of materials. It currently includes two sizes of table and bench but more variations may be on the way soon.